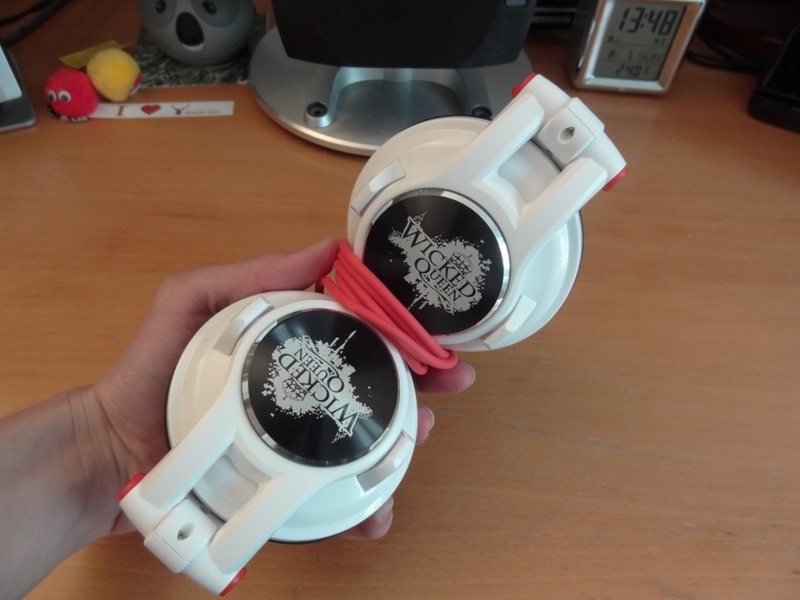 First of all I would like to thank the lovely Tanya, from Fischer Audio for sending me out the Wicked Queen’s! Before getting into the review I would like to say that Fischer Audio was to me, an unknown, but yet a very established brand in Asia. 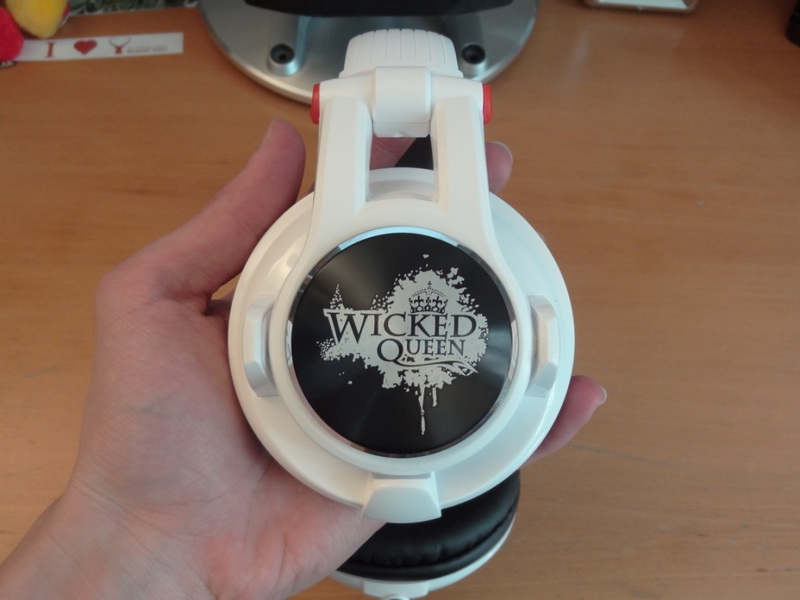 Thus it came to my delight when I found these headphones being listed around the EU a little more; For example, the Wicked Queen’s can be bought from Top Dog Headphones, who are an authorised dealer! I have also seen the Wicked Queen’s in two colours, white, as I have, and in yellow too. 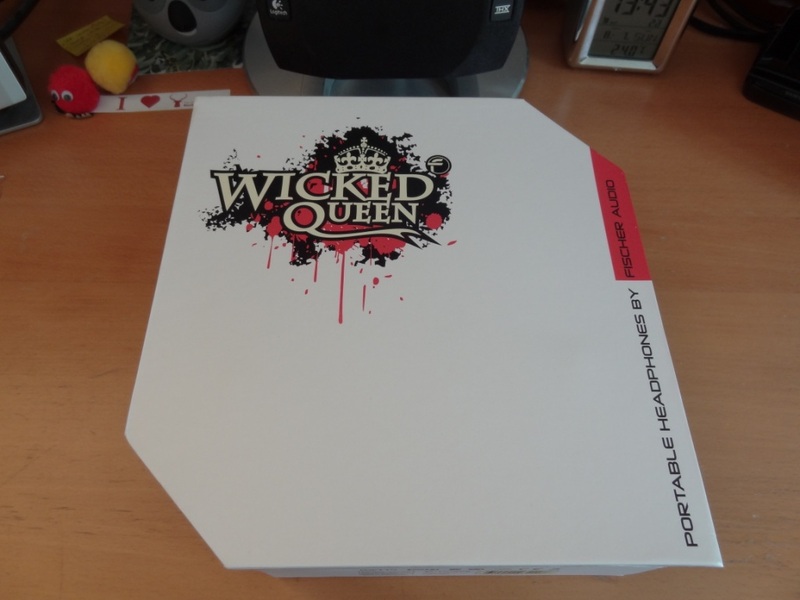 The packaging of the Wicked Queen, is simple, and groovy. 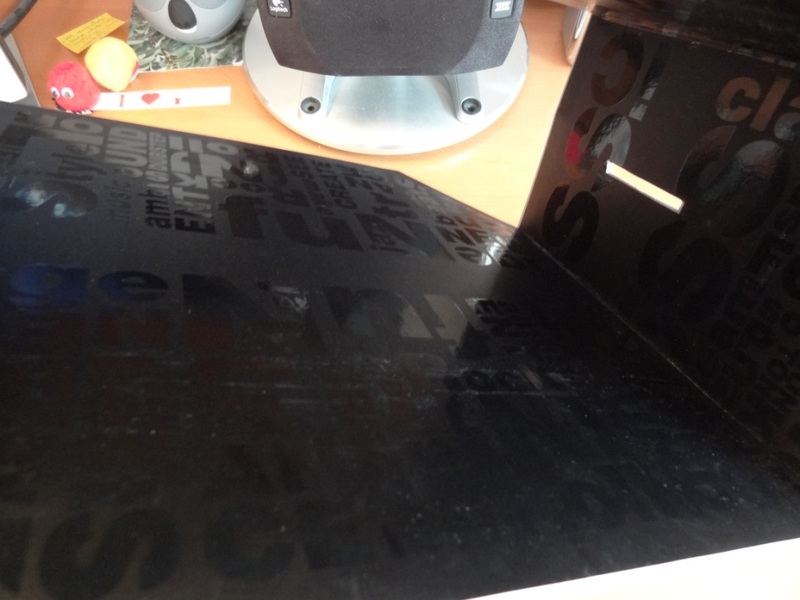 It really denotes a cool, happy and trendy look; especially when looking within the packaging itself, with all the embossed writing. Overall the packaging is cool, and really does describe the product inside very well. It is aimed at the younger generation, such as teens for example. There were no accessories provided, so there isn’t anything to say here. It would have been nice of a pouch, seeing as the Wicked Queen’s are portable cans. That said looking at the price, I wasn’t expecting much, but that extra, very simple pouch would have been a very nice touch. Overall my first impressions were good, however, there wasn’t anything impressive or disappointing to report at first glance. 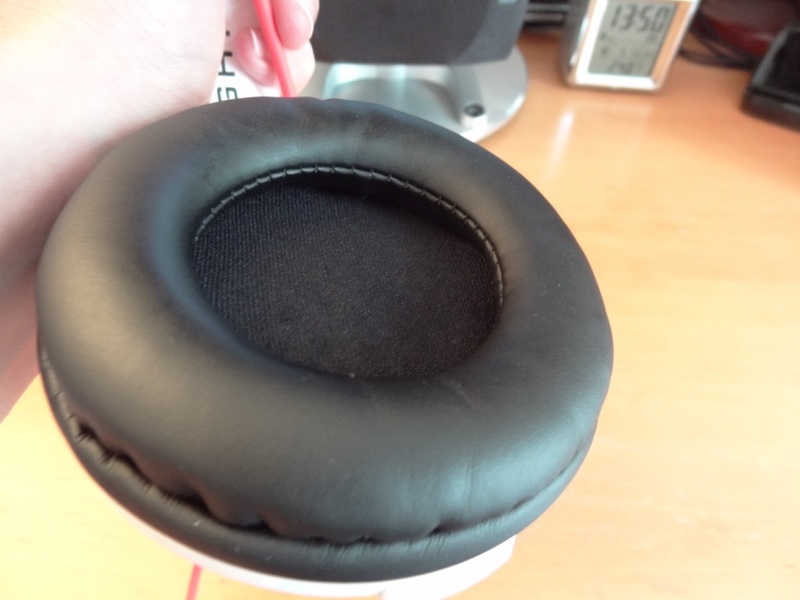 The build quality when I first picked these up, really reminded me of the cheap plastic material on the monster beats range. The build quality isn’t great in all honesty, I feel that these are quite flimsy, and could break reasonably easy. That said, due to them being made out of plastic, they are also quite light to carry around. So I can’t critique the build quality that much, as the material used, is there for a reason. 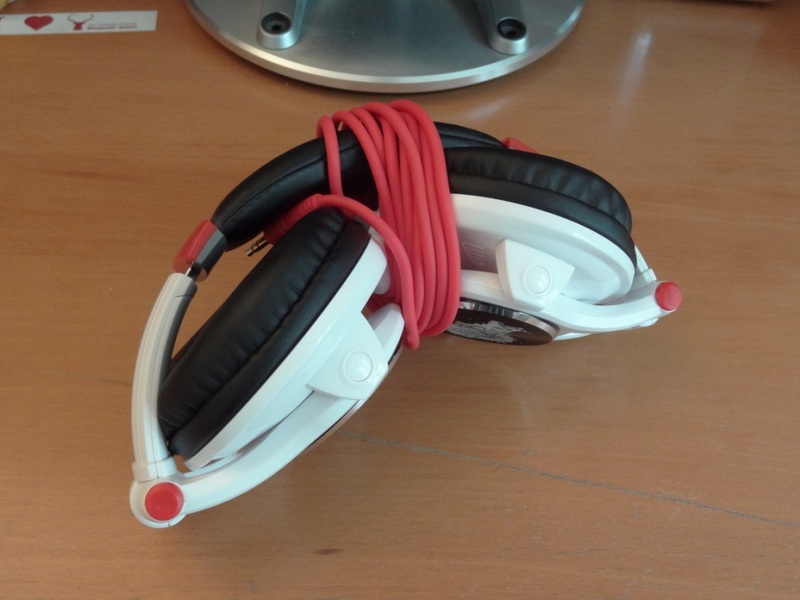 The headphones, do fold, which makes them portable. The folding mechanism, is good, and sturdy – I do feel that after a while of use and abuse, the hinge might get looser, but that’s just expected – even with your front door, or an expensive cabinet hinge. 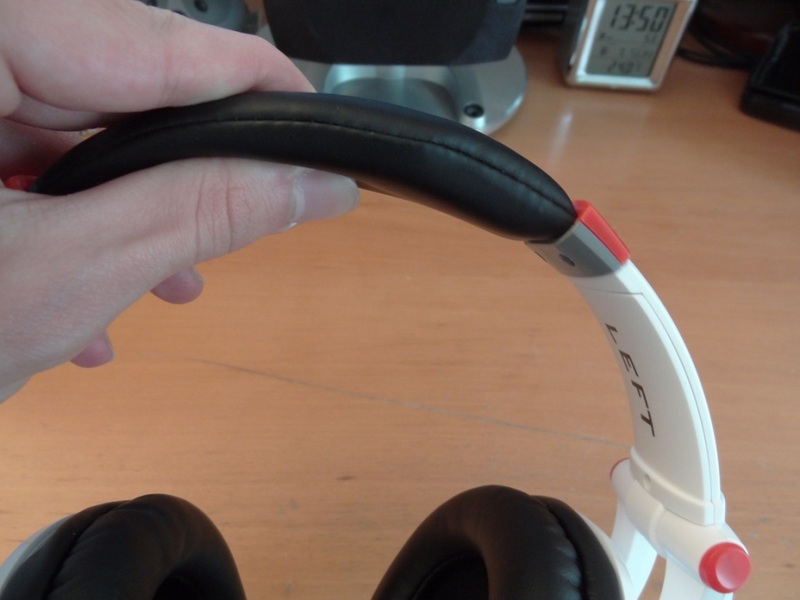 The headphones’ adjustable headband is well built, and is good when adjusting. It doesn’t feel too loose, nor too tough to slide. The headband itself, is nicely padded at the top, which allows a nice comfortable listening experience with the Wicked Queen’s on. 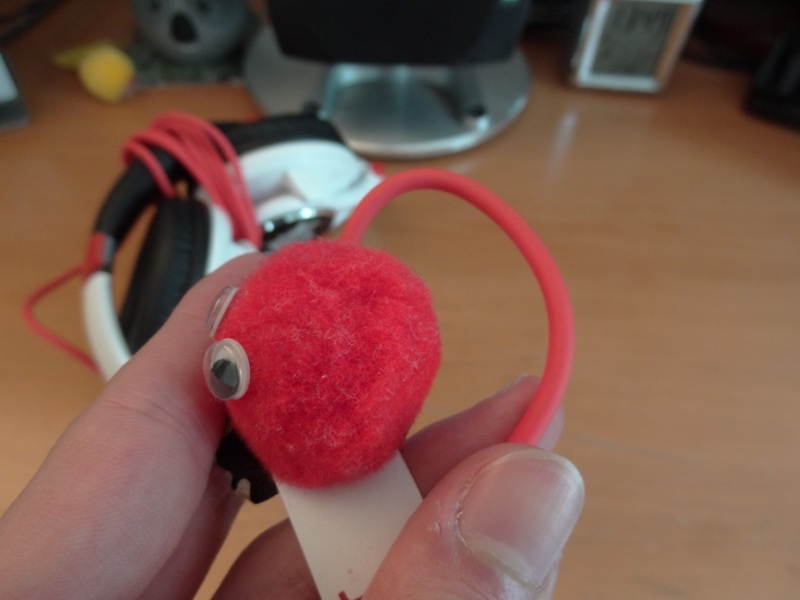 On the subject of the headband, the clamp of the headphones, I feel is just right. It isn’t super right, like the beats, and isn’t too loose, like the Denon AH-D2000’s; which means that the FA Wicked Queen’s stay on, and aren’t uncomfortable to wear for long period of time. I should also add that, these headphones are on-ear headphones, thus not going around your ear, unlike the Denon’s or the FA-002’s. The build quality of the pads are also good in that respect. More so, the drivers themselves do tilt to a certain angle, to accommodate different head positions; which I find quite nice, but also a standard, especially for portable headphones. 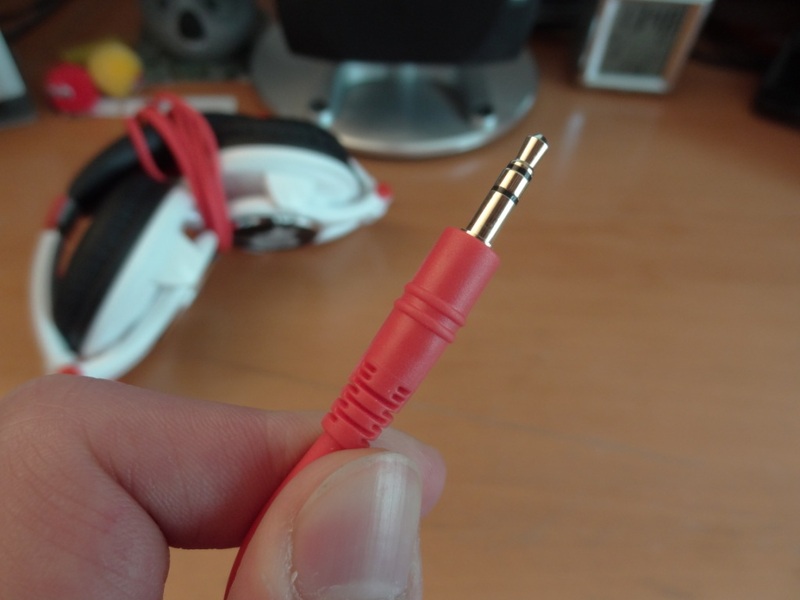 Finally the wire is well made, and is terminated by a straight 3.5mm gold plated jack. A thing to note is that the wire only enters the left driver, and not both drivers. 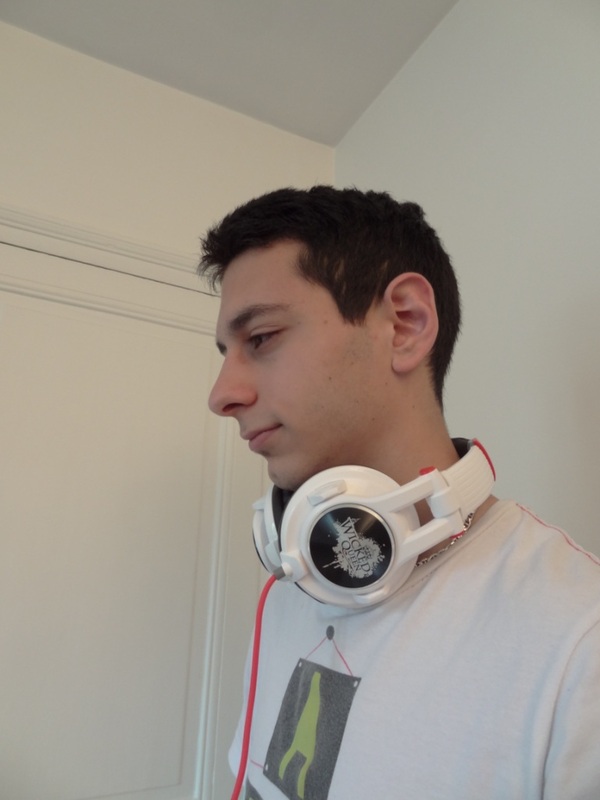 Now moving on from the name, and the shiny-esk faceplate, on the side of the headphones. The look of these is quite nice – I do like the white and red combination. There is, again however another complaint. The red colour used for the wire, isn’t really RED. It’s a lighter shade of red, not quite pink, but in-between pink and red. It isn’t a real issue, but yet again, it would have been nice to see a more solid red colour. 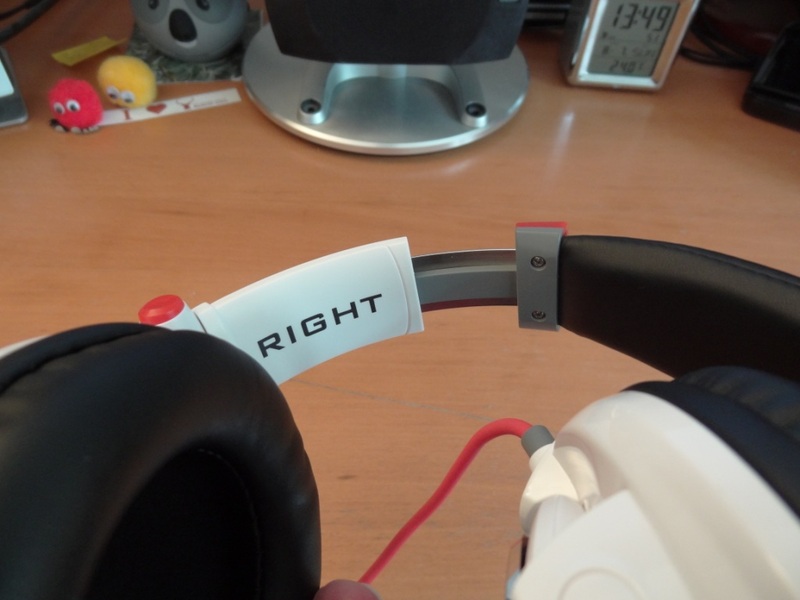 Regarding the left and right indicator of the headphones, I really liked the font of the writing, and the placement of it. It might be a little big for some, however I quite liked it. 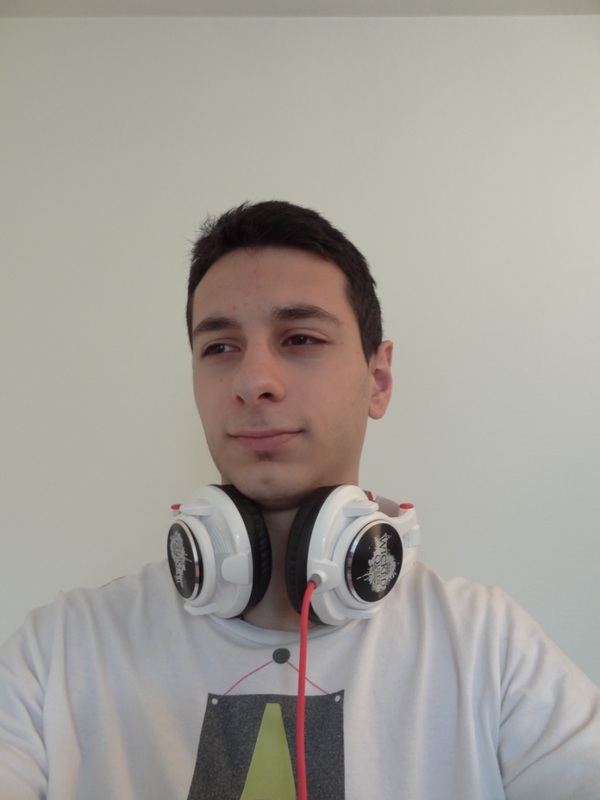 Finally, the look of the headphones around the neck (yes around the neck), look good – although it is quite big, due to its reasonably large drivers. 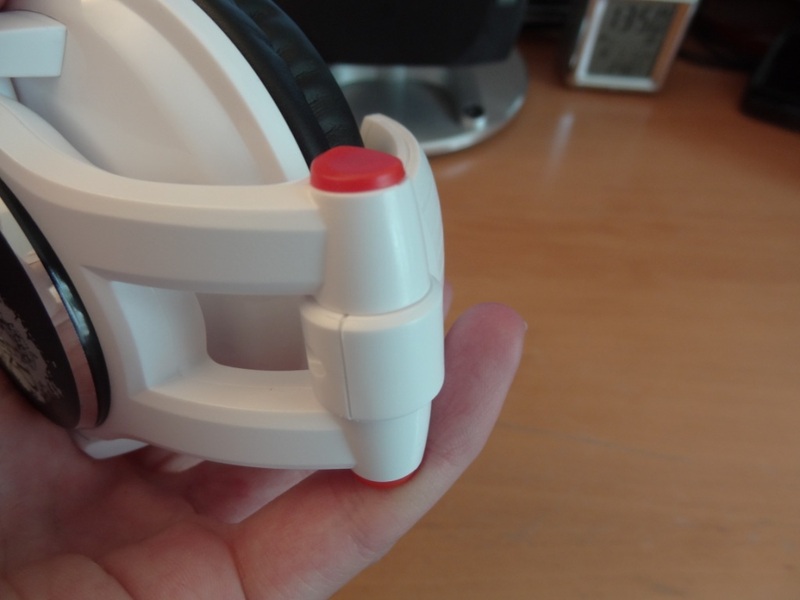 When wearing the headphones themselves, you’ll notice from the pictures I took, that the headband extends a little out from the top of my head. This reminded me a little of the Nokia BH-905’s. 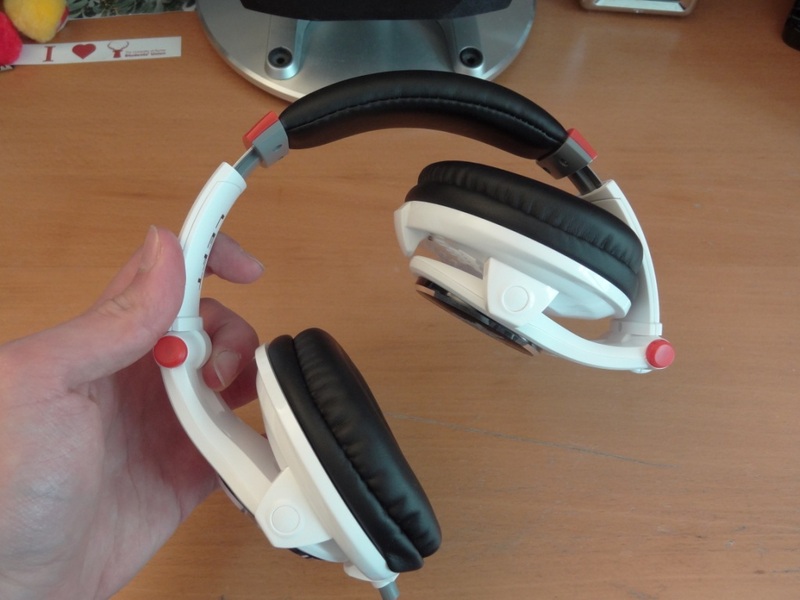 Thus the headphones don’t stick to the form of your head, and by that I mean they aren’t glued to your head, but instead look like they are a little “open”. 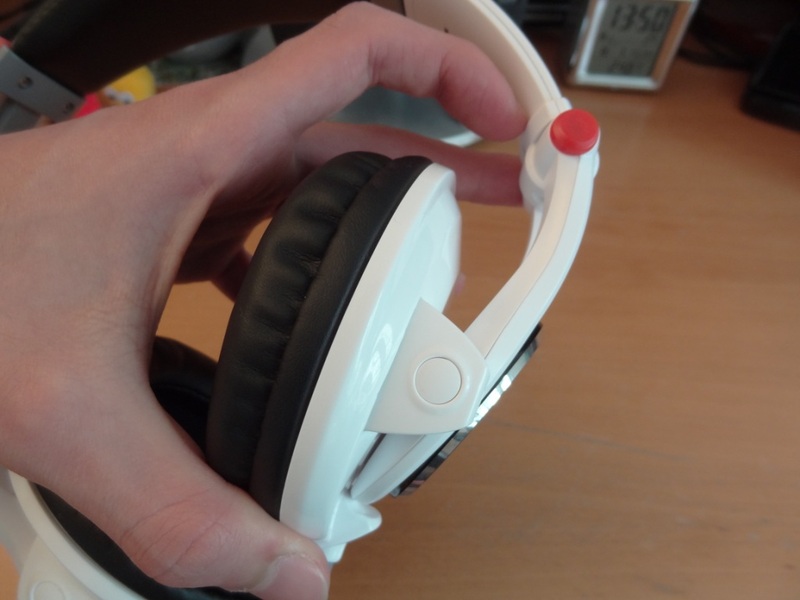 The isolation of the headphones, isn’t great, as these are on ear headphones, which means, they don’t go around the ear, meaning there is hardly any passive noise cancelling. That said, they do a good enough job to prevent a lot of ambient sounds in being heard. The Wicked Queens are quite comfortable, as their clamping force isn’t too strong, unlike the beats range, which I found uncomfortable, due to their extremely strong clamp. 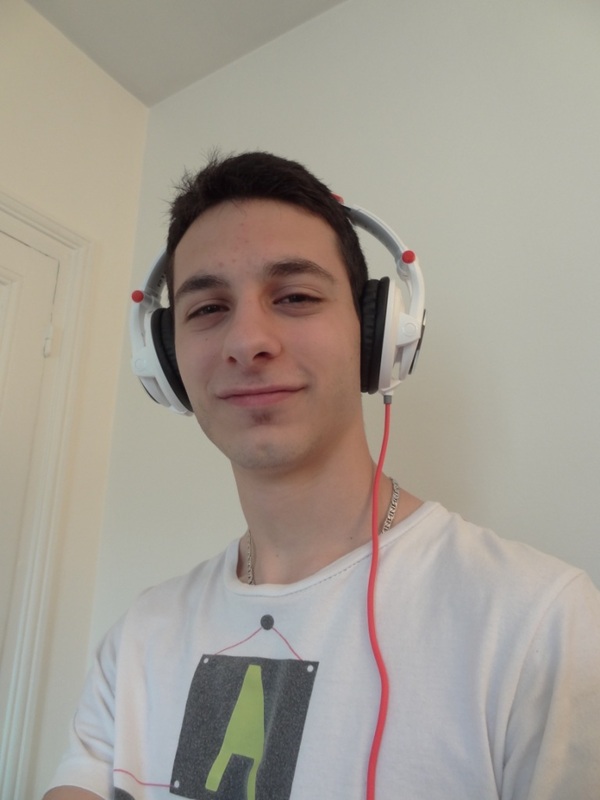 Thus the headphones are comfortable, however this depends on you, and your tastes too. Personally I’ve found that on ear headphones have been less comfortable than over the ear headphones, and thus have generally stayed away from on ear headphones, but for what it is, these headphones are comfortable; just don’t expect comfort that is found in on ear headphones. 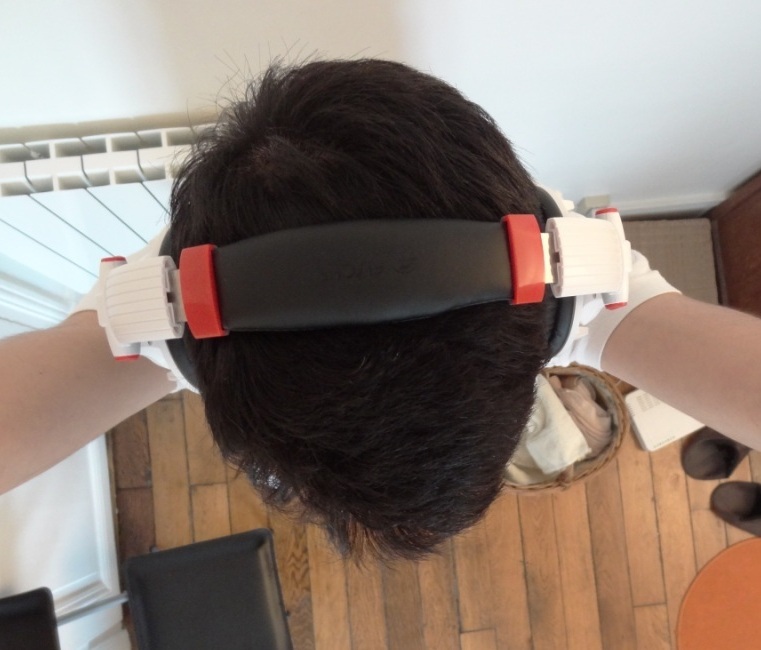 Overall, I didn’t feel these were uncomfortable for lengthy periods of use, and due to my tastes, it would be unfair to compare and rate the comfort based on over the ear headphones. The sound quality of the Wicked Queens, is decent, for headphones at this price range, however I did feel that the mids were lacking quite a bit. Which surprised me, especially when compared with two of the other FA products I received: the FA 002w headphones and the FA DBA mk ii earphones, which are very much mid centric. The FA WQ’s really reminded me of the beats signature, with recessed mids, emphasis on the mid-bass, and rolled off highs. 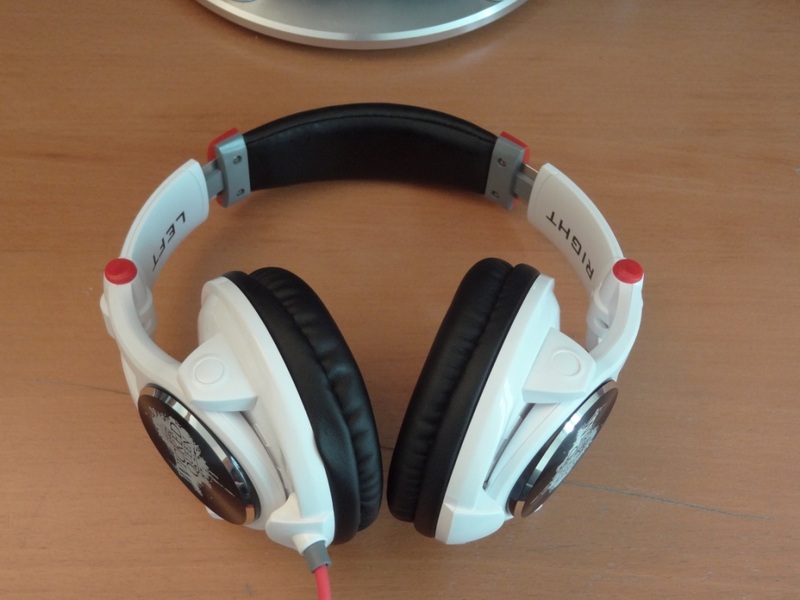 The good news however is the fact that these look reasonably trendy, and cost less than 1/4 of the beats. The lows, were its strongest point, especially the mid-bass which is quite prominent. I found the sub-bass to be there as well, but not very well extended and prolonged. In other words, the lows were mainly dominated by the mid-bass whereas the sub-bass was not really well or should I say, fully extended. Overall the bass was good, but for those looking for a nice rumble that accompanies the mid-bass, then the Sony XB line would be a much better choice. The mids I felt let these headphones down. They sound veiled, overshadowed by the mid-bass, and quite recessed. There is little to no precision on these, especially when they are compared to the two other FA products mentioned before. It shocked me a little, to hear the extreme difference. The highs, aren’t great either, however they do produce a nice sparkle, and thus I cannot be that critical on them, unlike the mids. Overall the mids are a let down, and the highs don’t really provide anything really special. The soundstage on the other hand is quite nice. It feels like the headphones are open back headphones. They sound quite airy and thus the soundstage feels open, unlike one would think about these headphones. 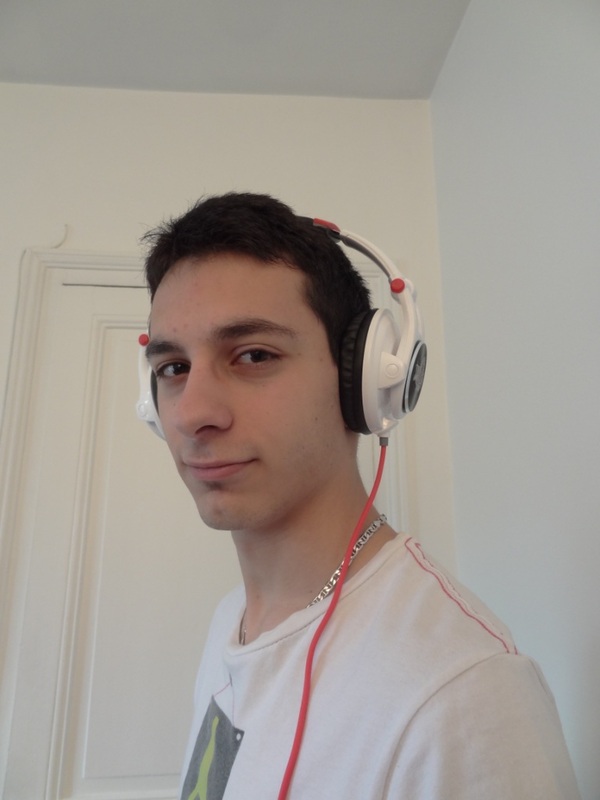 Overall, the headphones are reasonably nice, especially for the price. I do see that Fischer Audio have tried appealing to a different market, and would succeed if it wasn’t for the name of the headphones, which means they only would truly appeal to women. If these could have been more generic, in their branding, then I could see these being a little more popular. Don’t get me wrong, I do see from time to time, girls wearing headphones, however bigger sized headphones like the WQ’s, I haven’t really seen around a girls neck or head. 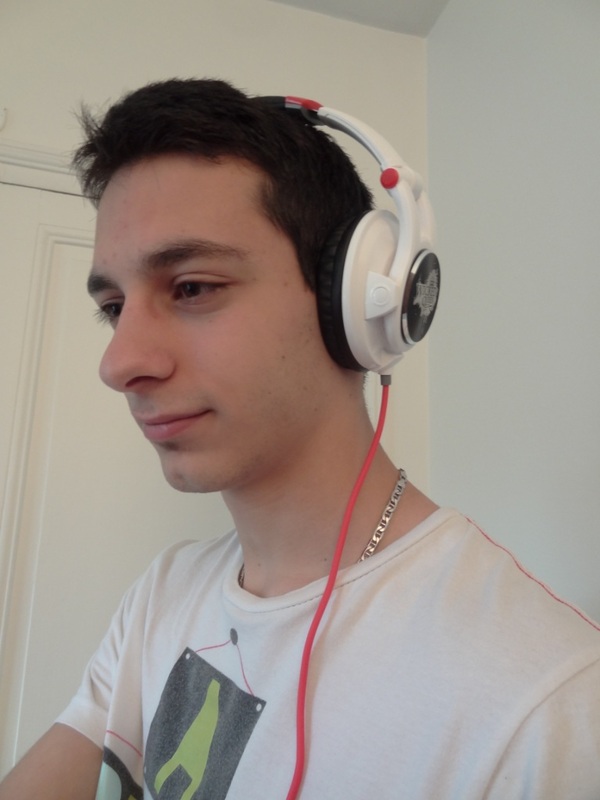 Long story short, the name of the headphones appeals only to girls, and young girls, i.e. not older women. The sound quality has a lot to be desired from an audiophile’s perspective, but from your average joe, these would sound good. I can safely say these are better sounding than the beats range, and thus for the price, these are quite affordable. 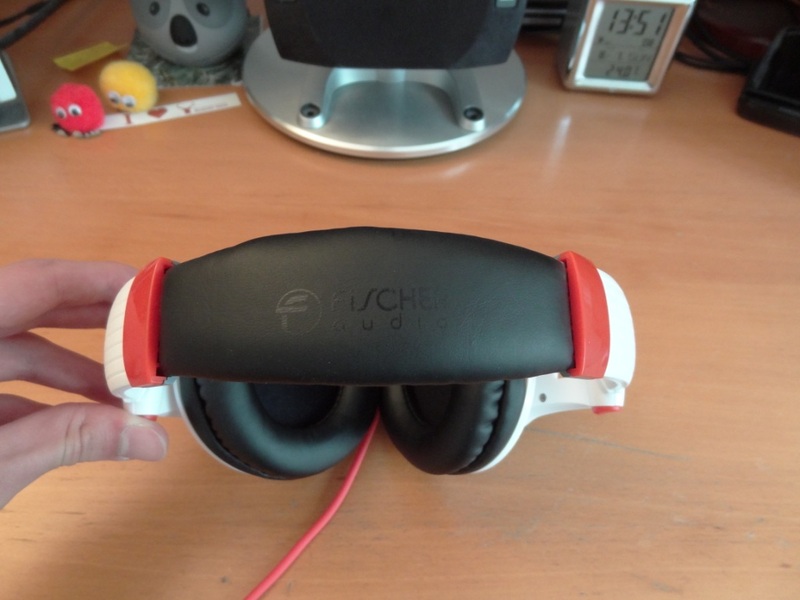 This entry was posted in Audio Reviews and tagged audio, Fischer, Headphones, Queen, Review, Wicked on August 7, 2012 by TotallydubbedHD. Haven’t ever really heard of these until recently – nice review, might be worth it for the price. My little cousin has fallen in love with them :)! 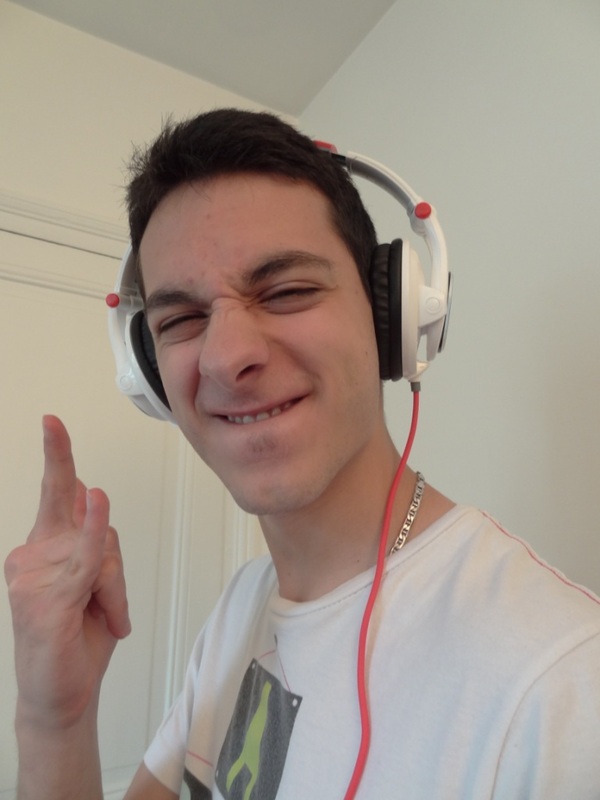 MDR EX510LP are the best!! !don’t you agree?? I sure loved your ex510s :)!! Hope you’re keeping well brother!